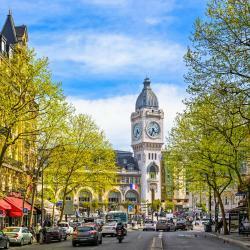 Looking for hotels near Gare d'Austerlitz? 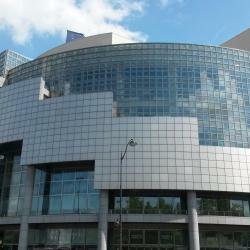 Hotels with great access to Gare d'Austerlitz! Hôtel des Nations Saint Germain is in the heart of the Latin Quarter, 15 minutes from Notre Dame and a few steps from the famous Rue Mouffetard. Very clean, great location, friendly staff, great breakfast, interesting quarter area. recommended! 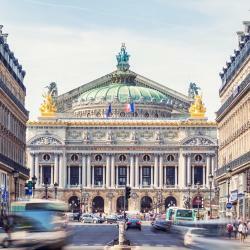 Saint-Christophe is a traditional Parisian hotel located near the popular Saint-Germain district in between Jardin des Plantes and the Luxembourg Gardens. Nice approach to the guests, smiley faces. Best Western Plus Quartier Latin Pantheon, located in Paris’s Latin Quarter, offers rooms with satellite TV and free WiFi. Guests can also enjoy the hammam for free. Everything. The staff was polite and extremely helpful. Breakfast was good. Location was the BEST. Hotel Maxim is located on the left bank of the River Seine, in the heart of the Latin Quarter. 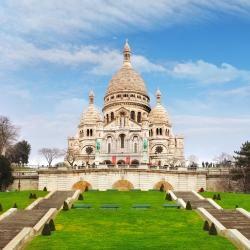 It is 1148 feet from The Jardin des Plantes and offers free WiFi access. The rooms were so clean and the bathrooms were very modern and spacious. Great place to stay!! !